Successful in late September in Ahmedabad at the 2017 ITTF-ATTU Asian Cup; Chen Szu-Yu and Cheng I-Ching represent Chinese Taipei at the forthcoming Uncle Pop 2017 ITTF Women's World Cup presented by Polar Naturals; play starts in Markham, Toronto on Friday 27th October. In the Indian city, Chen Szu-Yu finished in a most creditable fifth place, for Cheng I-Ching it was the eight spot. It is only the second time in the history of the Women’s World Cup, first staged in Hong Kong in 1996, that Chinese Taipei has fielded more than one player. In 1998, Tong Feiming, Tsui Hsiu-Li and Xu Jing, all competed; in those days a national association was eligible to field three players as opposed to the modern day two in number. Creditably Tong Feiming finished in third place and exceeded the efforts of Chen Jing, who in 2000 in Phnom Penh had secured fourth spot. One year ago at the Seamaster 2017 ITTF Women’s World Cup in Philadelphia, Cheng I-Ching surpassed the efforts of both Chen Jing and Tong Feiming. She finished in runners up spot, beaten by Japan’s Miu Hirano in the final. 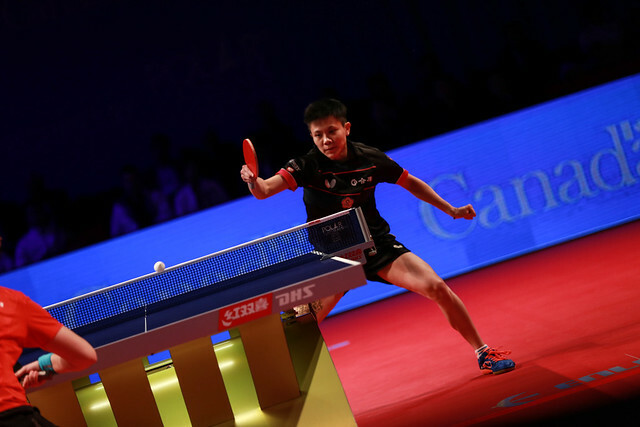 A notable performance but more notable is the fact that both Cheng I-Ching and Chen Szu-Yu are both born and raised in Chinese Taipei, it is where they developed and honed their skills. Conversely both Chen Jing and Tong Feiming hail from China; pertinently Chen Jing, when wearing the colours of China, won the Women’s Singles gold medal at the Seoul 1988 Olympic Games, the first time table tennis had ever been staged in the multi-sport spectacular. Each to their own with foreign players, especially from China, moving to represent other national associations; but the fact that with Chen Hsien-Tu, also born in Chinese Taipei, completing the line-up at the Perfect 2016 World Team Championships in Kuala Lumpur and the bronze medal gained, the three young ladies were filled with immense pride. Cheng I-Ching in particular was very quick to point out that in 2000, also in Kuala Lumpur, the only other occasion when Chinese Taipei had won a medal in the Women’s Team event at a World Championships, they won silver; Chen Jing had played. There is a now a great sense of pride amongst the new generation from Chinese Taipei, a very high level of motivation; those factors could prove crucial in Markham. Significantly, it is for Chen Szu-Yu her Women’s World Cup debut, another mark of progress by the local association.